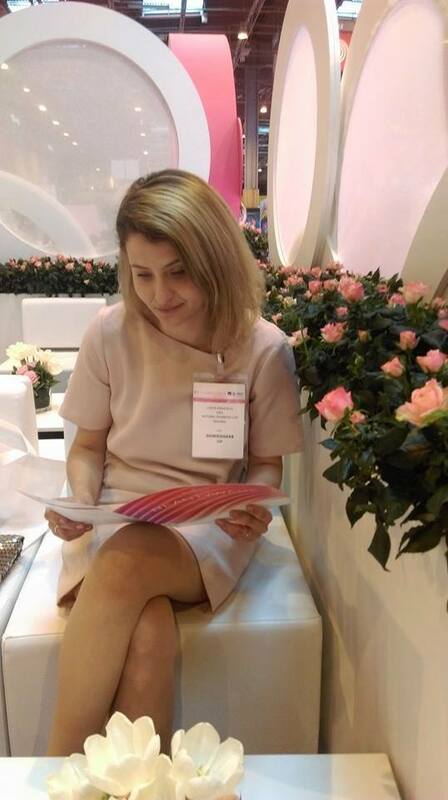 Let us tell you why it was so exciting and important for our team to visit Paris to attend the World Expo for ‪#‎cosmetic‬ Ingredients In-Cosmetics. This is the most concentrated source of valuable upgrading of knowledge and an indispensable business environment that will contribute to create even more special products for YOU. To be up to date even in the smallest detail is our aim and pleasure. -Cosmetics and ‪#‎beauty‬ manufacturers, research institutions and distributors. Development/Formulation, ‪#‎Business‬ Development, Management, ‪#‎Marketing‬, Buyer, Consultant, Production, Quality & Safety Control, Regulatory Affairs. This year, in 2016, participated 63% international visitors from 120 countries and 37% local. Our team was briefed on the future trends in cosmetics worldwide. The exhibition brings together over 700 exhibitors of ingredients, fragrances, lab equipment, testing and regulatory solutions with over 9,000 cosmetic manufacturers worldwide. In-cosmetics Expo is the global launch pad for innovations in ingredients and technologies, delivering high-level scientific education and consumer insights for formulators, R&D and regulatory professionals. Shaping future global industry trends, in-cosmetics offers the most cost-effective business and networking opportunities for the world’s personal care ingredients community. You are in the new version of Super Smash Flash 3 Super Smash Flash 3 has also undergone a lot of changes in its game graphics. It was much more useful than previous versions. Super Smash Flash 3 offers you an opportunity to enjoy more in this version.